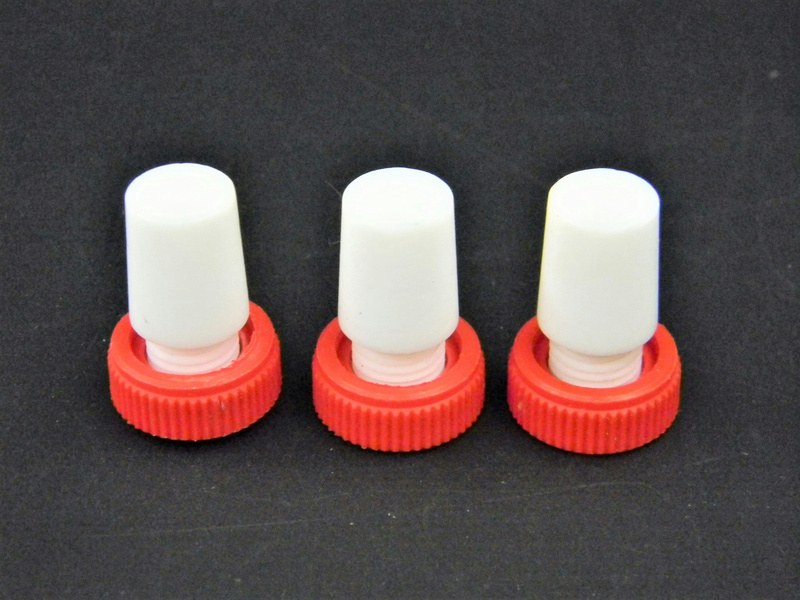 Safe-Lab Flask Length PTFE Stoppers w/ Extraction Nut CG-3019 (3) . New Life Scientific, Inc. These are PTFE stoppers that were originally acquired from a US pharmaceuticals lab. There are no stains or cosmetic damage visible on these stoppers.